In a pastoral letter on stewardship, Cardinal Thomas Collins suggests that in order to discover what is really important to us, we should look at how we spend our money. That is to say, our Visa or MasterCard statements can be a guide when we try to understand what tangible items or causes we emphasize the most. For many of us, those statements would read like a menu of our favourite consumer pleasures. Consumerism clutters our connection to God, and it degrades our inherent human dignity by elevating the premise that we must have certain material goods in order to measure up to societal standards. The reality couldn’t be further from the truth. “Does it spark joy?” This is the fundamental question Japanese tidying expert and global sensation Marie Kondo enthusiastically poses to clients when helping them decide whether to keep or throw out clutter-causing items in a living space. Her strategic approach to doing something most people hate — getting rid of possessions — has come to life in her smash Netflix series, Tidying Up with Marie Kondo, based on her New York Times bestseller The Life-Changing Magic of Tidying Up. Kondo’s method is simple. Wade through your mess according to the following categories: clothing, then books, then paper documents, then komono — which translates to “miscellaneous” in Japanese — comprising items stashed away in the bathroom, kitchen and garage. I can’t say that I’ve fully embraced this tidying method, but I have dabbled in it. Watching the series spurred me to clean my pantry and linen closet, which had both slowly been falling into a state of overloaded untidyness. I can see why Kondo has a cult-like following of adoring fans. Developing a regular tidying strategy is a sound idea. But keeping a home organized will only work over the long-term if we acknowledge and work through our obsession with stuff. If we continually bring more and more into the home as a result of obsessive shopping habits, the clutter will soon re-emerge. The real solution is to buy less. As we enter the Lenten season, I’ve seen multiple calls to action on social media to try to avoid buying anything new during our pre-Easter fast, as a “consumer penance” of sorts. Consumerism is the root of the problem. It spurs our compulsion to buy because we mistakenly feel that buying things will “bring us joy.” Kondo’s series is powerful because it highlights how emotionally connected we are to our possessions. In one episode, we meet Mario, who once owned more than 160 pairs of sneakers. 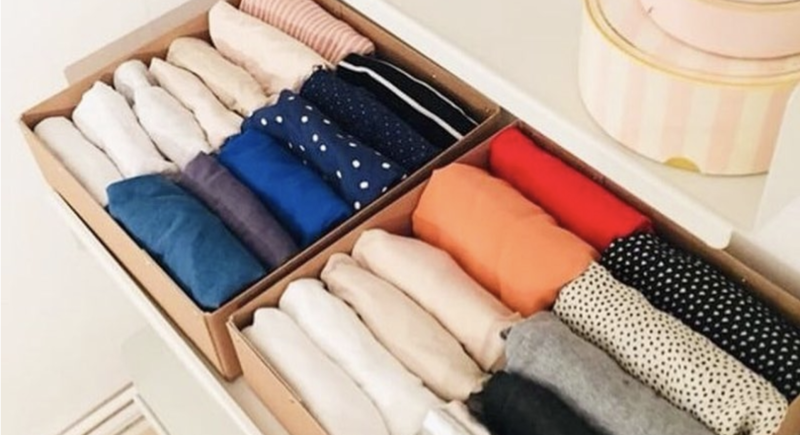 By the end of the episode, he reduced his prized collection to 45 pairs, and he and his wife created space in their home to welcome a new baby. In his pastoral letter, Cardinal Collins writes: “It is interesting that we are often called consumers. What a shame it is that we can be identified as people who are simply consuming the goods of the Earth. The notion that material objects can bring joy into our lives is no surprise — books can thrill, movies entertain and home furnishings help to enhance our living space. But when the continual accumulation of these items starts to take priority in our lives, they become little more than a distraction from what brings meaning — and true joy — to our lives. This entry was posted in Recent Work by vksantilli. Bookmark the permalink.